The Supreme Court is the highest court in the United States. While it only hears about 80 cases out of the thousands that petition to be heard, the court’s decisions have a big impact. 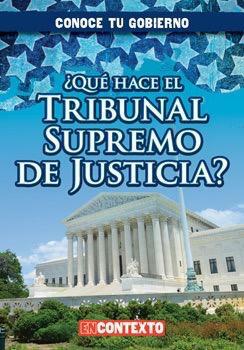 The most important job of the Supreme Court is to decide the constitutionality of laws and actions. This process is broken down for readers in simple terms that support their understanding of the judicial branch. The main content offers curriculum-based information about the court’s relationship with the Constitution, justice appointments, and how justices write opinions. Fact boxes supply definitions and further explanations of more complicated ideas.